Ah, spring! The crocuses have croaked, the peepers are croaking, and all the birds and bees are doing that thing which brings on the opposite of croaking! The buds on the trees are getting nice and plump and little tiny leaves are pushing their way out of the stems on all the rose bushes. 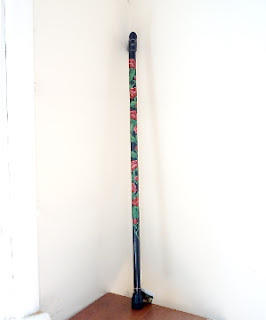 In celebration of spring I present my Cascading Roses cane! Here are a dozen American Beauties. 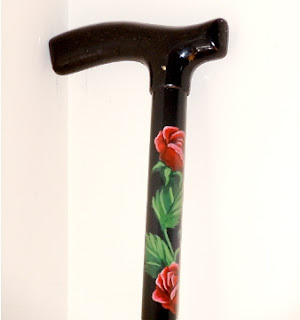 For those who rely on the support of a cane, wouldn't it be a lovely statement to say, "my loved one gave this cane! Isn't it beautiful?" www.leaningonthepromises.etsy.com. 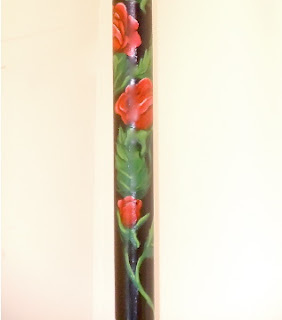 You'll also see other hand painted canes there. If you don’t see something to pique your interest I’ll make one just for you! This is gorgeous Judy! I love the red on the dark background - really beautifully painted! 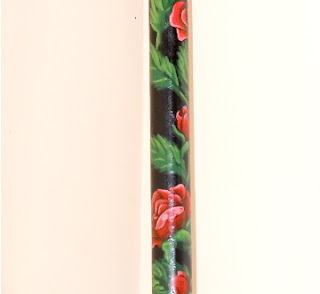 I really love this cane. It almost makes me wish I needed to carry one. Very nice work. I LOVE roses- mine just started blooming this week! This is so beautiful- I can certainly see why your canes are so popular! Your canes are beautiful. Hope I don't ever need one but if I do I'd want one of yours. 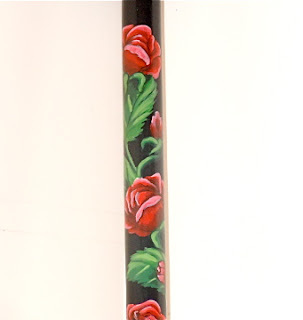 Your roses are painted so beautifully...all of your canes are wonderful!